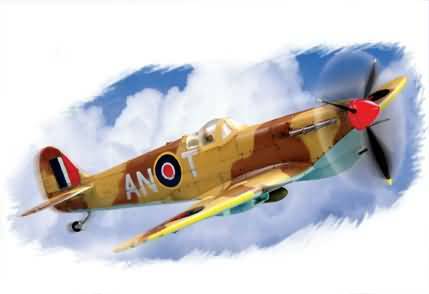 The Supermarine Spitfire is regarded by many as the most beautifully designed single seat fighter to appear during WWII. 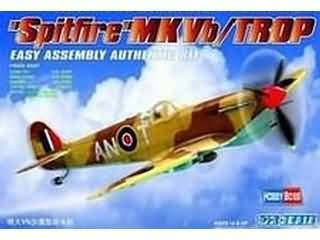 The Spitfire went through numerous major and minor changes throughout its long production life. 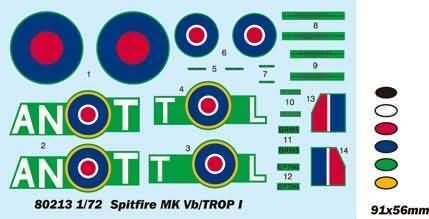 Early improvements resulted in the Mk.V series of Spitfires which became the most widely produced versions of all Mk's. The main improvements was the furnishing of three wing armament configurations, and the use of the more powerful Merlin type 45 engine. The most numerous Mk.V was the "b" winged version which had a mixed armament of two 7.7mm machine guns and on 20mm cannon in each wing.